“Without creativity, a sense of wonder and play, none of the great achievements in science or art would’ve been born." Without creativity, a sense of wonder and play, none of the great achievements in science or art would’ve been born. When we know how to foster these skills in schools, our children have the best opportunities to grow up to be happy and skilled people,” says Kirsti Lonka, Professor of Educational Psychology at the University of Helsinki. When the media wants to know about what’s behind Finland’s excellent Pisa results, they call Kirsti Lonka. Children enter school relatively late, at seven years of age – before that they learn by playing. No unnecessary tests for children – we take care of all. In teaching, we implement solutions every day that we hope will enable children to thrive in the future. However, the world and the skills that we need in it might now change at a faster pace than ever before. That’s why those who develop teaching – teachers, principals, deans and early education professionals – bear a massive responsibility for the world of tomorrow. This November, Lonka and four other professors as well as experts specializing in fields such as robotics, management and positive psychology will guide participants at the Diploma in Innovation in Education program to get to grips with the latest teaching methods and innovative learning environments. This six-day event will be organized in Helsinki by Aalto University Executive Education (Aalto EE) in cooperation with the University of Helsinki Centre for Continuing Education HY+. “In addition to guiding the event, we want to create an atmosphere where we educators will also learn from the dialogue between educators from all over the world,” says Lonka. And we should remember that only the smartest creatures in the world know how to play. We adults now need creativity and insights so that we know how to develop learning environments in which our children have the best opportunities to succeed and be inspired. “Fortunately, you’re never too old to play,” says Lonka. Even before the education program begins, you can talk with Kirsti Lonka about the engaging learning model on Twitter @kirstilonka with the hashtag #oivaltava. 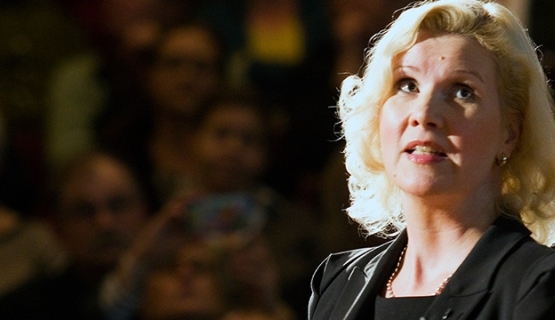 Kirsti Lonka is Professor of Educational Psychology at the University of Helsinki. She is one of the instructors at Diploma in Innovation in Education program.